Bring the joy of gardening into your busy life! 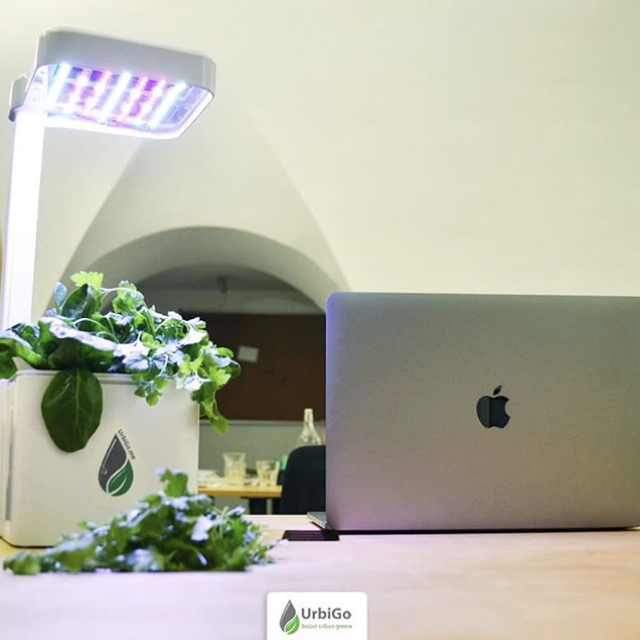 Our specially designed LED lights simulate natural sunlight in eco-friendly way, and make your plants grow all year round. 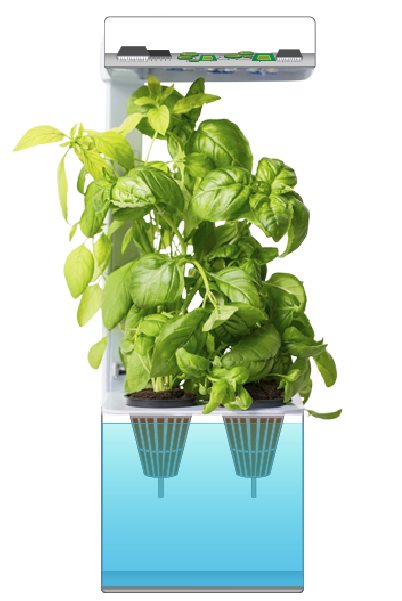 Sensors in the water tank will give you heads-up when to give UrbiGo more water. 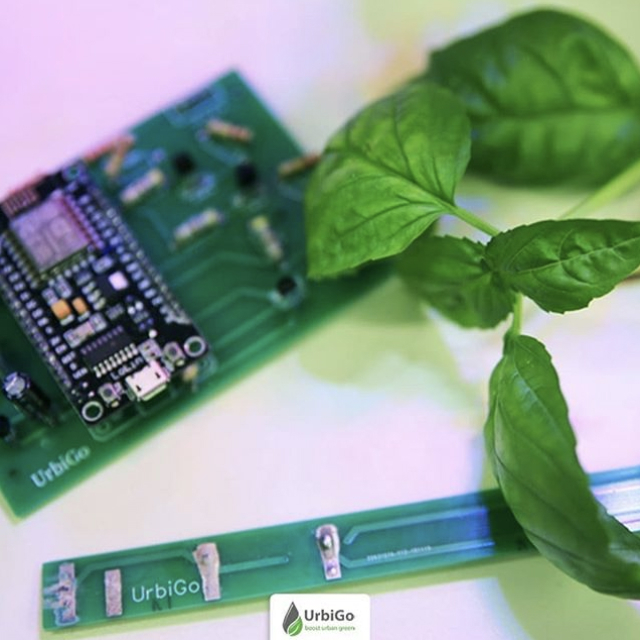 UrbiGo blends best of the both worlds by producing organic and fresh ingredients for you with help or super plant health sensors. UrbiGo uses 100% organic plant capsules that have perfect balance of nutrients for your seeds to grow into happy and healthy plants! 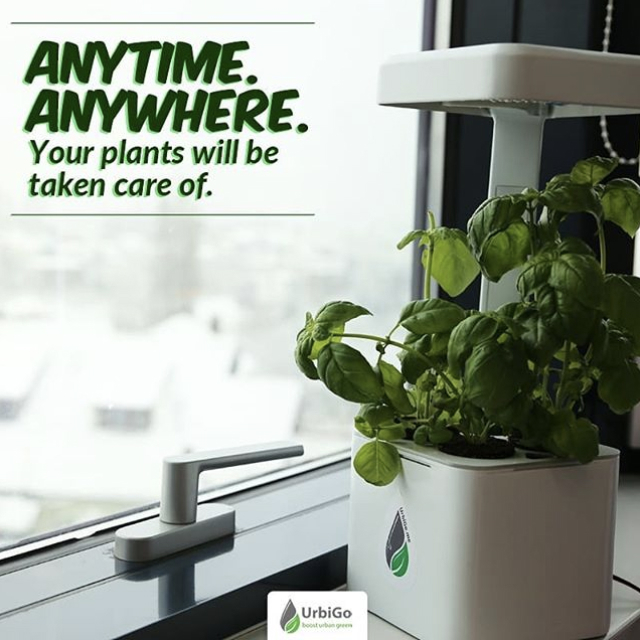 Pair UrbiGo with your phone and get notifications when your mini garden needs you. Remote control light and get watering alerts anywhere, anytime. As your plants grow you will unlock new quests, compete with other modern gardeners and learn about plant health benefits! Bring the joy and health benefits of gardening into your busy life. 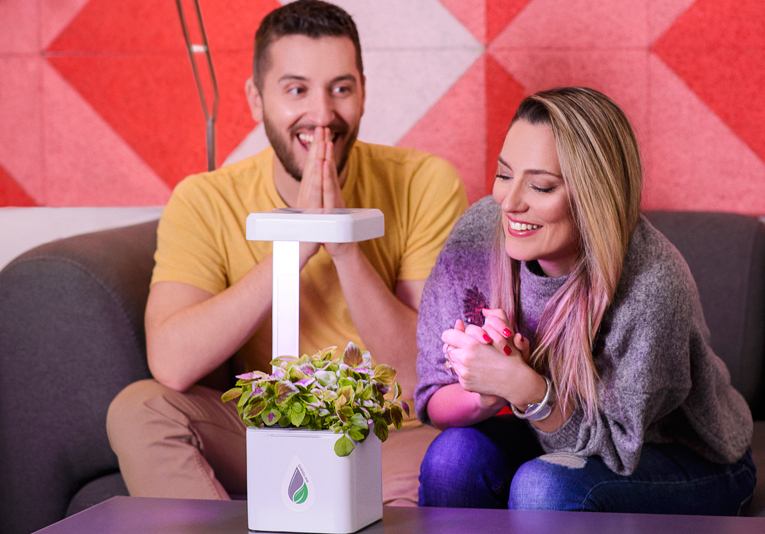 Application that gives your plants a voice. We believe that technology should bond us with nature, not the opposite. 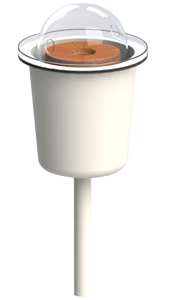 UrbiGo will be your personal companion to a more greener and healthier lifestyle! 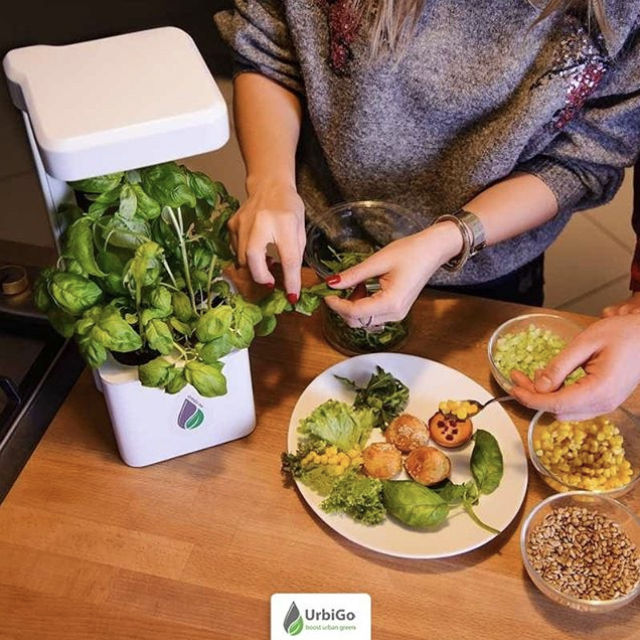 Reserve your UrbiGo smart mini garden together with the set of plant capsules now and pay 50% less on delivery! No credit card required. Discover 50 different plant capsules from our plant collection and get new set every three months. You can see all of common question and answers on our F.A.Q. page. Software. 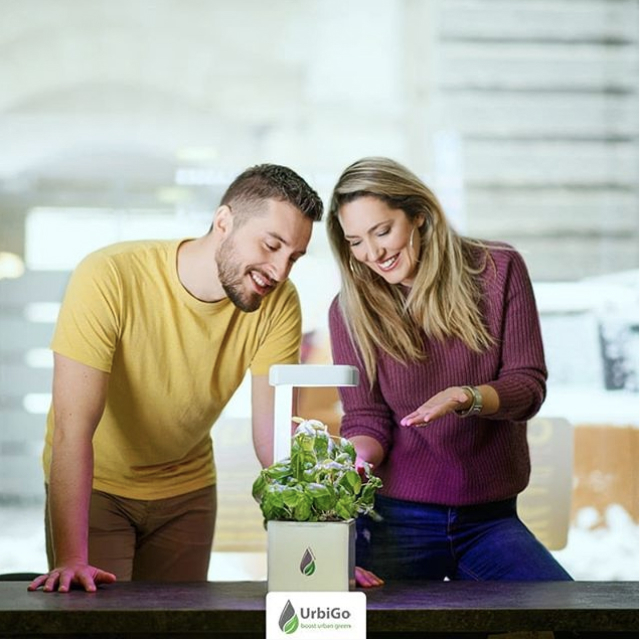 Our app makes indoor gardening simple and engaging for everyone yet gives you freedom to remote monitor your UrbiGo wherever you are. It empowers you to go green through fun and learning. 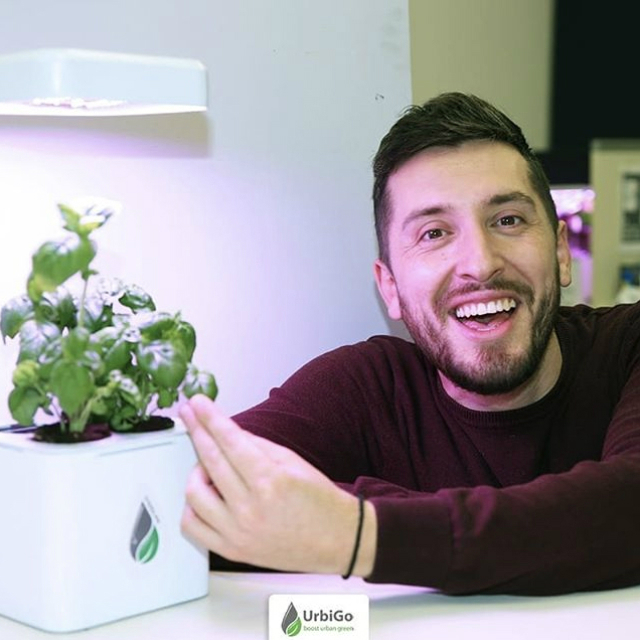 What plants can I grow in UrbiGo? 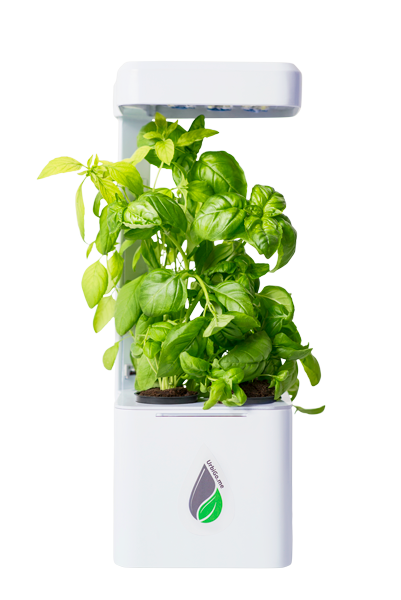 App supports 50+ types of different herbs, spices and mini-veggies that can be grown in your home or office. We have developed science-based algorithms that monitor plant needs and health. 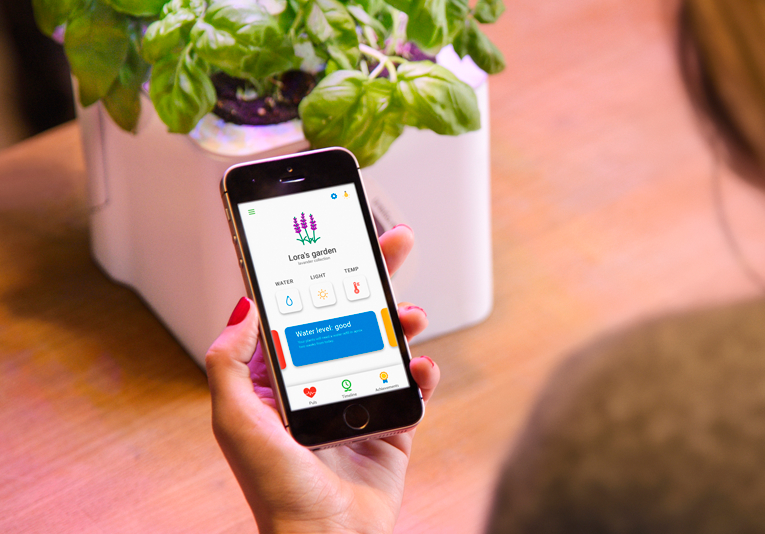 App will tell you which plants should you grow together and which one not. Why should I reserve UrbiGo now? 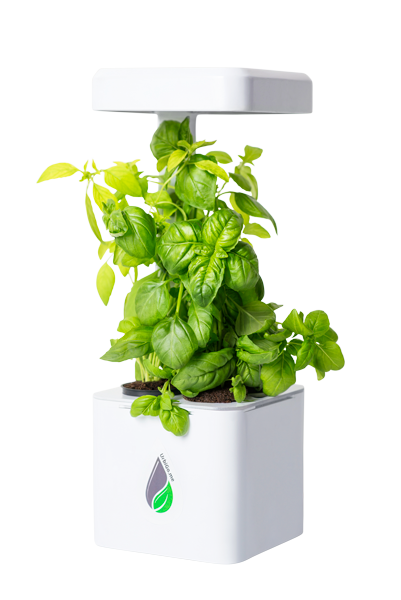 Because now is the time to start green revolution from your home. And yeah, if you reserve one now you will pay half of the market price when we start the delivery. Our vision is to boost urban green because we believe that everyone has right to healthier life and greener planet. Meet our team on about us page. Subscribe to be the first one to know about updates, new features and much more!